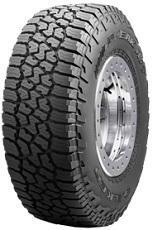 Worthy truck tires, good quality for fair price, used them on highway, city and a bit of off-road and they perform well. The agresive tread makes some noise on highways but it's acceptable. I will not say much I just liked em, good tires on the road and highway I would certainly recommend to others! Quality ratio is very good!